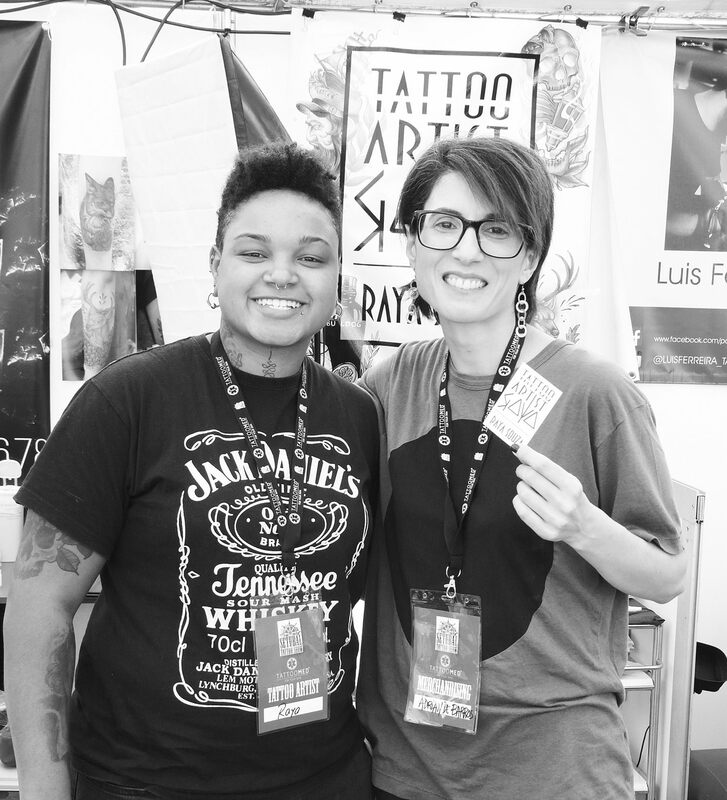 With so many big names coming to tattoo conventions, it is also enjoyable meeting promising artists who are in their developing years and super excited about life and work. 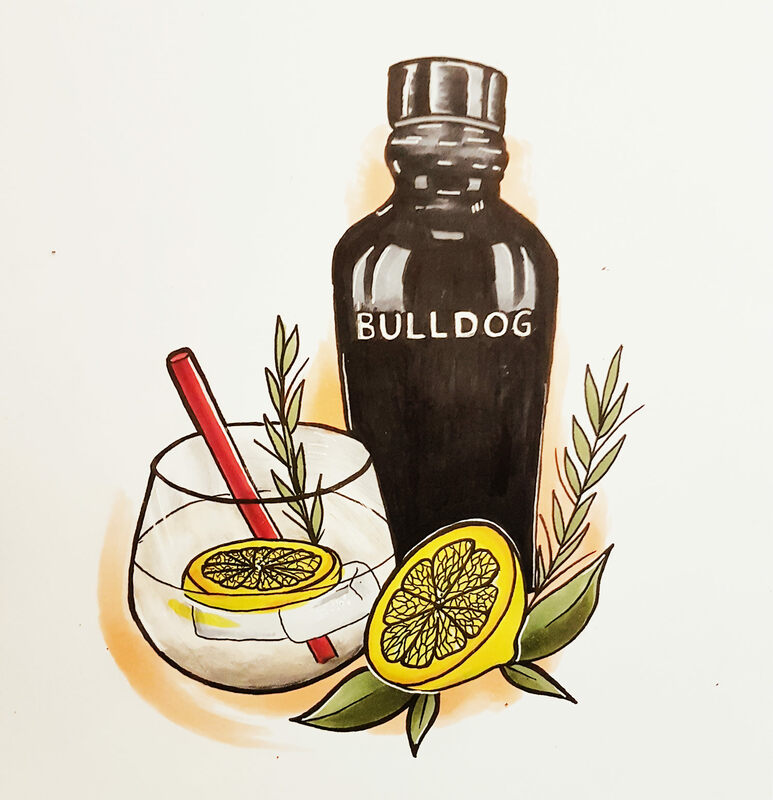 Raya Souza, a Lisbon-based artist that has loads of energy, positive energy—and it shines through her colorful artwork and personality. She is openly gay, married to Maria Barbosa de Souza who was also at the Setubal show and supporting her. 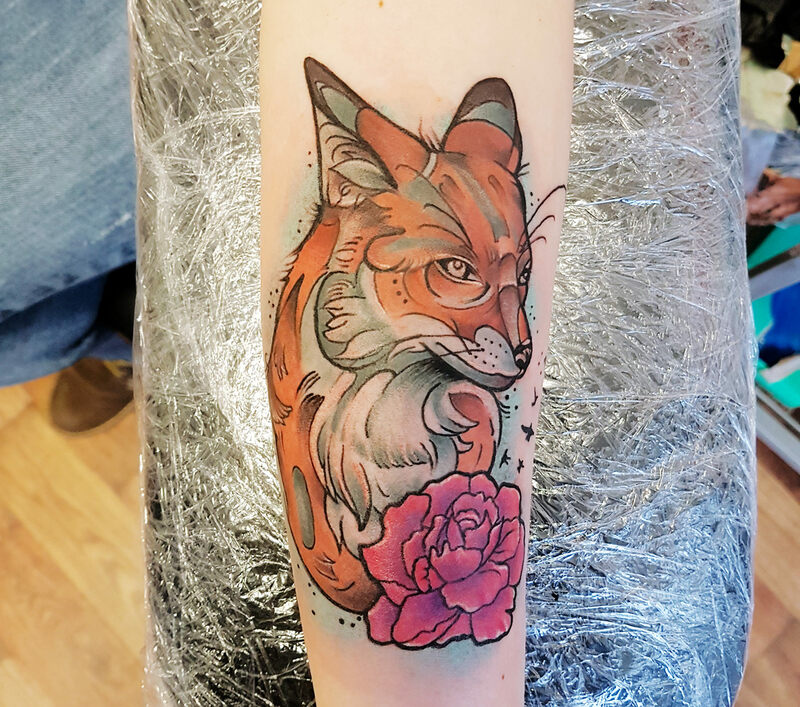 Being her true self has been important for her happiness and pursuit to becoming a superior tattooer. 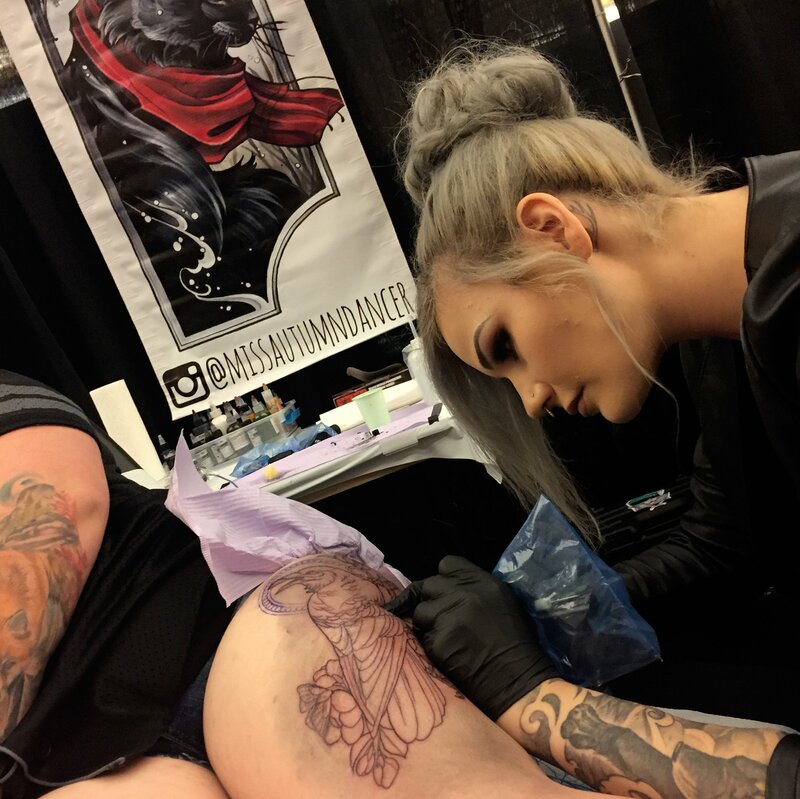 She’s 23 years old, with five years of experience, which isn’t exactly starting out but still developing her style and skills; last year was the first time she participated in a convention that led to guest spots and then opening her own studio. 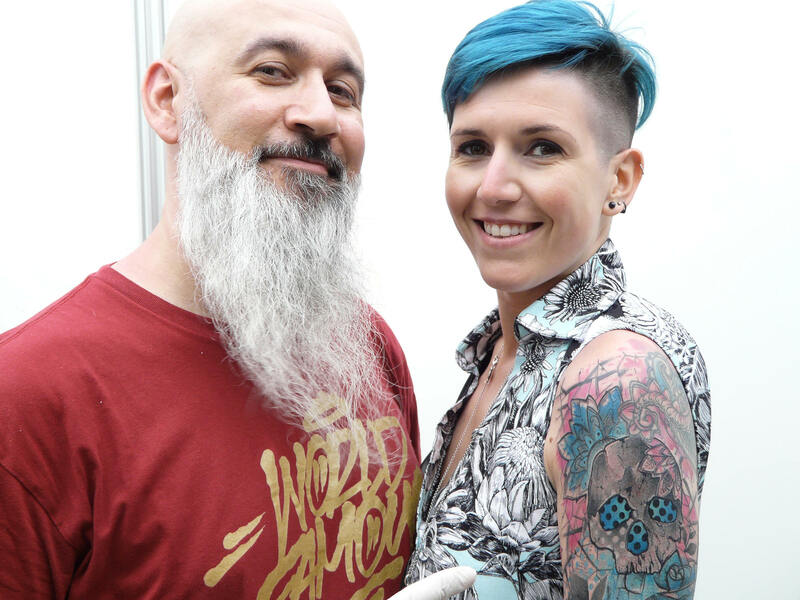 Having had several chats with Raya Souza, it gave me a wider perception about her adaptation challenges of moving from Brazil to Portugal in her teen years, and that tattooing was not her sole passion. Above: Raya Souza loves to express herself through bold drawings in bright colors. 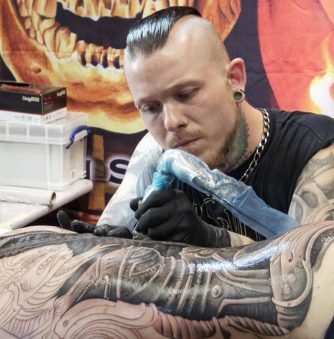 The artist hard at work at the Setubal Tattoo Show. Also a glimpse at her drawings. 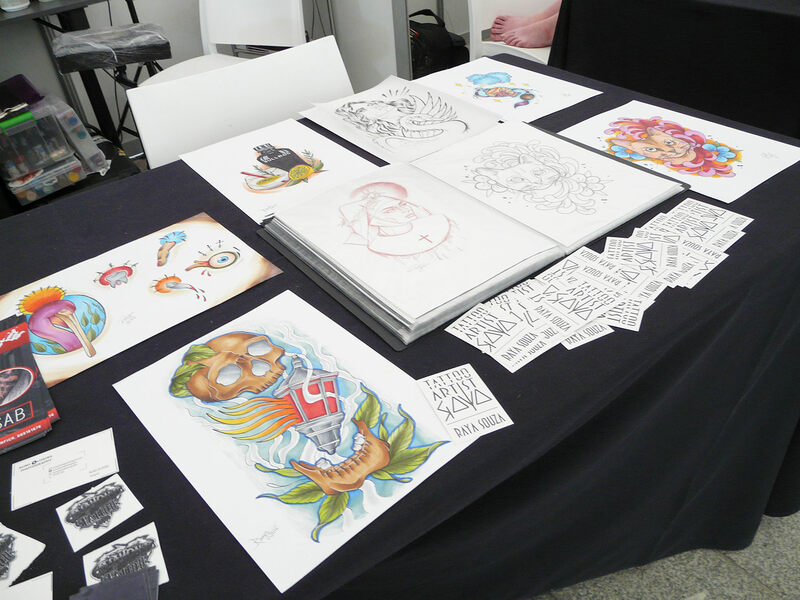 We’re at the Setubal Tattoo Show. How important are conventions? What interesting things have happened in these large spaces in comparison to private studios? 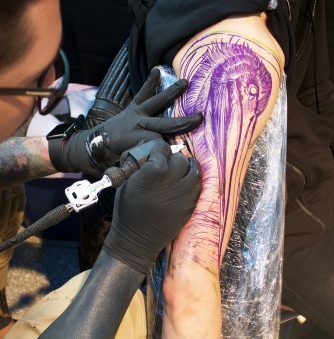 Most definitely [important], we are in contact with a lot more tattoo colleagues. At the conventions we can show our work in a different way. And I think it is a plus for any artist appearing at events of this kind. You are from Brazil and moved to Portugal when you were 15 years old. How challenging was the adaptation to Portugal? It was the Portuguese language in school. Although the Portuguese language seems like it is the same, there is a big difference in pronunciation from Brazil to Portugal. And it becomes a bit complicated to get used to it. At the age of 15 I had to leave my friends back in Brazil, that was also difficult, and it was challenging making new friends and making my life complete again. Color, color, color is her forte. 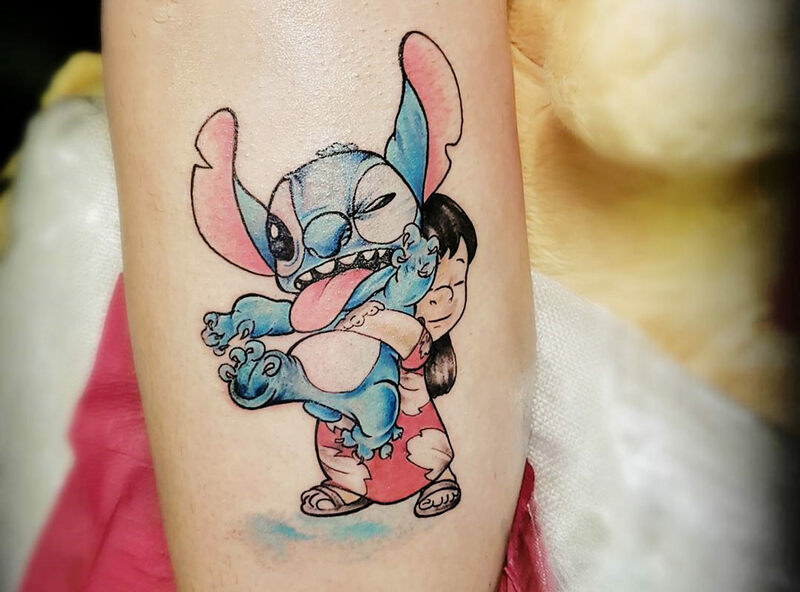 You use whimsical colors, with animal characters that look like they are from fables or animated movies. What has actually inspired the coloring and themes of your work? The themes are related with the clients’ preferences and tastes. But in relation to the coloring, it has to do with what is in one’s soul. I express what is inside of me, my soul, and that’s what you see in the designs. That’s why they all … colorful! Your painterly style shares similarities with the work of Tania Catclaw. 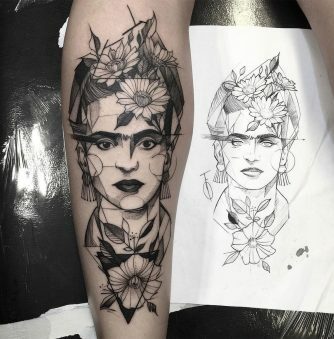 Do you know the artist, do you like her work? Yes I know her, and follow her on social media. I don’t think our styles are exactly alike. A little bit because of the colors and maybe a bit in the same direction, yet I feel I am on a different path from her work. Are you going to continue in this style or are you still exploring? I think we are always exploring. But I think I will continue with this style because I like it and identify with it quite a lot. Although there is computer technology, Souza still likes doing things the old-school way. 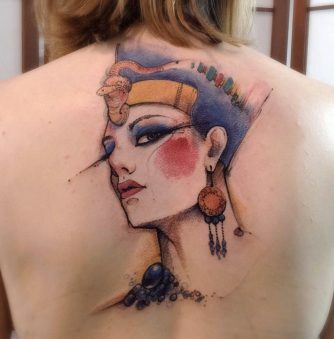 Do you always draw your concepts on paper before transferring them on skin? Yes, yes, yes—I always draw on paper. I use the iPad much more nowadays, but I always transfer the drawing to paper before skin. A little bit, not a lot. Do you plan on doing more in the future? Yes I would like to more. 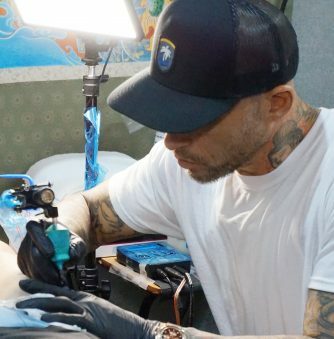 I think it really makes an artist—being able to see exactly what goes on in one’s mind and transfer that directly to skin … letting one’s imagination flow. 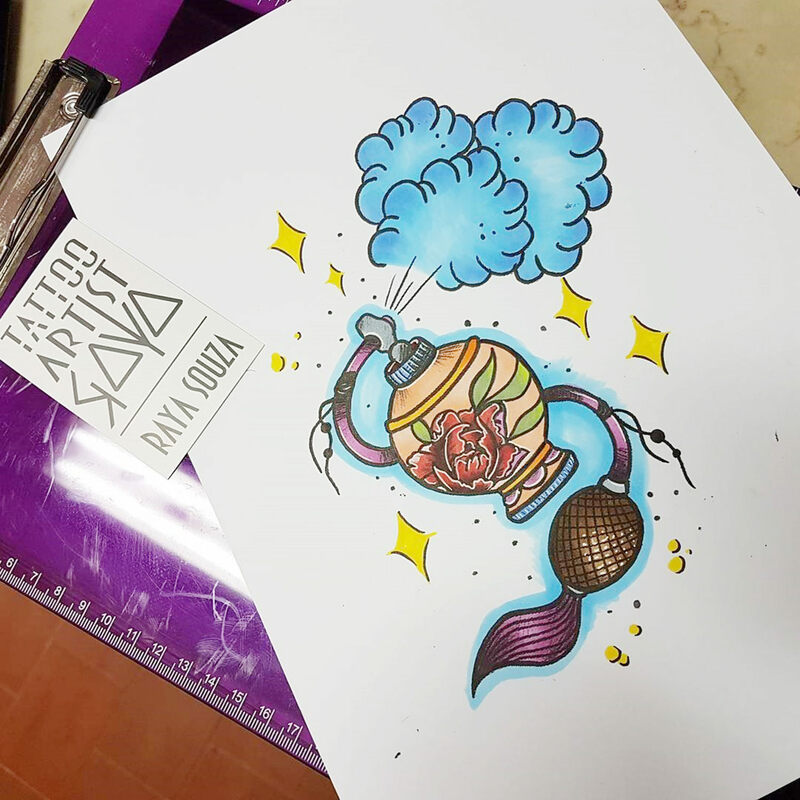 Another cheerful tattoo and some flash art by Raya Souza. 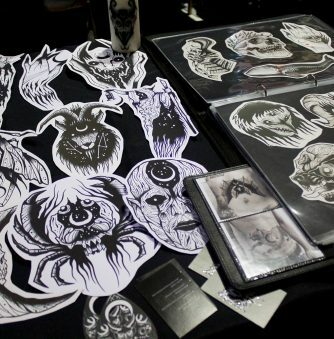 Do you think it is necessary to draw well to be a good tattooer? Everything comes with practice. 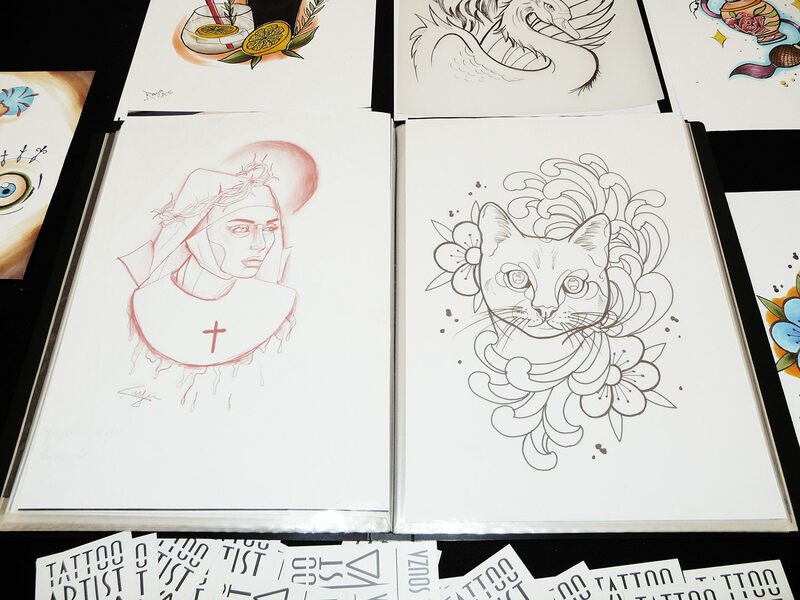 I don’t believe you have to be good illustrator (foremost) to be a good tattoo artist. With practice comes perfection, and one discovers things as one goes. You are born knowing nothing … it is with practice [that you learn]. You are confident and open about identity, sexuality. 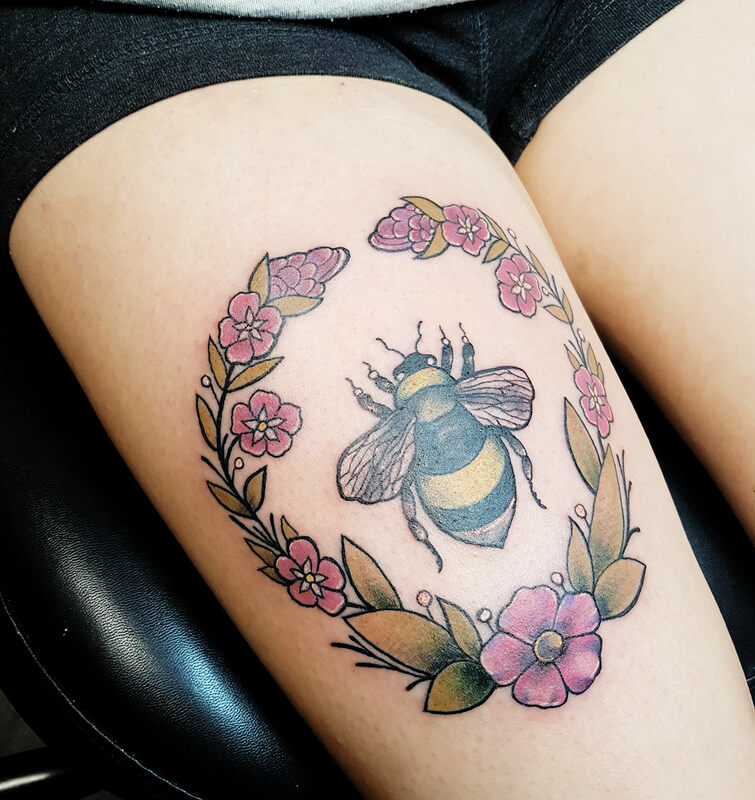 How does tattooing help you and clients express their true selves? You have to be who you are. My works are very much “me.” When we are able to express who we are, without shame, and as we like things … it is the sincere way to be who we truly are. The artist Raya Souza and Scene360 founder Adriana de Barros. You sing very well. I saw the IG-video-shoot with your acoustic performance (which is proof). 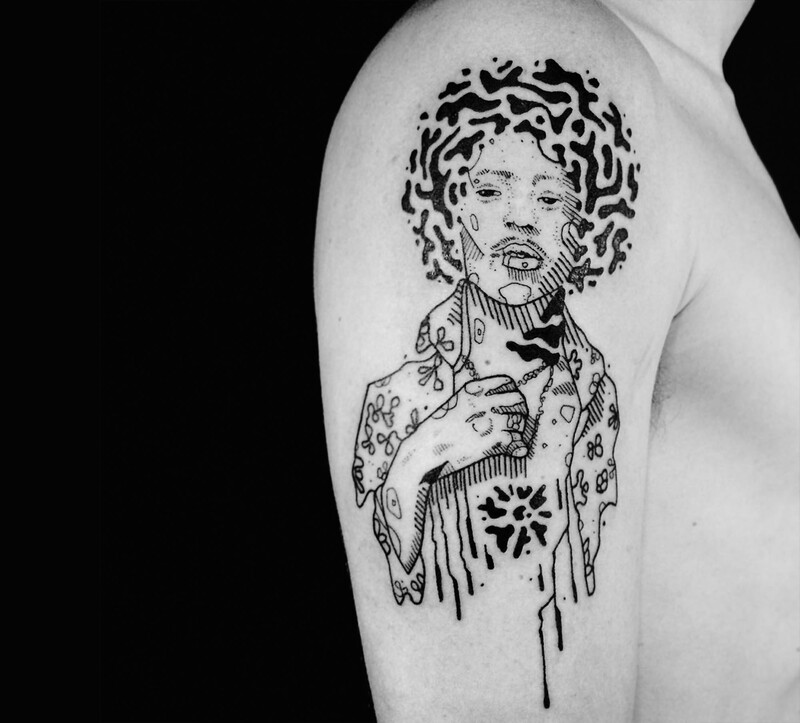 If you weren’t a tattooer, would singing be your next love? (Laugh.) Absolutely, without a doubt. It is a hobby of mine. When I am not drawing or at work, I am always playing [and singing] something. I was part of a band; Brazilian music … romantic music that has nothing to do with rock or tattoos. 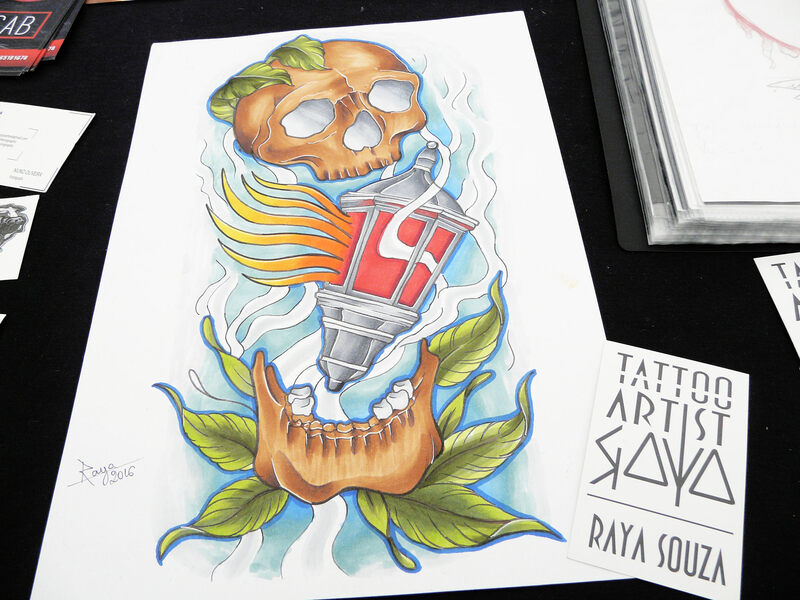 Follow Raya Souza on Instagram and Facebook.